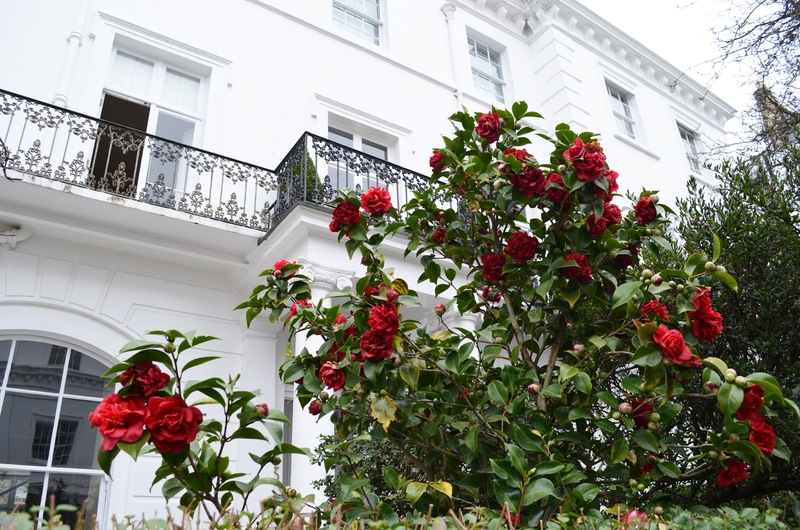 Is anyone else feeling as though their wardrobe is thoroughly unprepared for Spring? I am. My summery dresses, skirts and sleeveless tops are still folded stuffed in perspex boxes in the spare room. A few weeks ago, here in the UK we had a good few days of what is by our standards, tropical heat, and now we seem to have settled into a sunny-but-chilly weather situation, and I can deal with that, for now. Every time a new season comes around I seem to entirely forget how to dress for it. I was only just getting into the layering swing, now all the clothes are coming off. 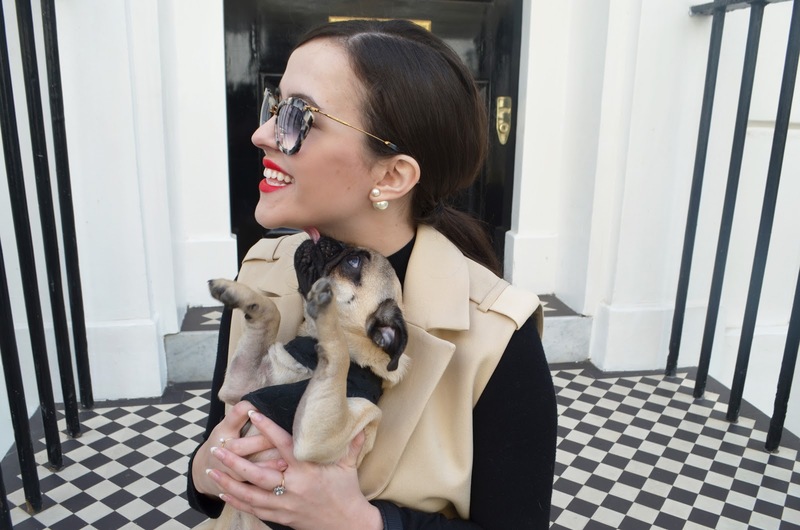 This was a last minute 'oh my god I have no spring clothes, all I have are jumpers and leather trousers' outfit that I put together the morning before I headed to Knightsbridge for lunch with Becca and Rupert the pug. 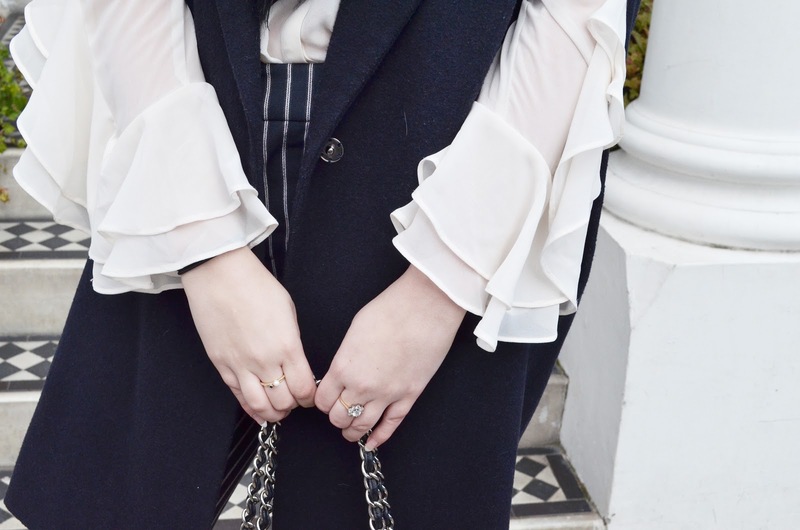 This sleeveless trench has quickly become one of my new favourite pieces. It's so well-made and heavy, but not in a way that'd make it too warm. It's so easy to throw over a multitude of dull outfits. I was quite pleased with this outfit in the end, I feel I look a bit like a spy or a detective. Or both. A spytective. I'm not really sure of any discernible differences between a spy and a detective in terms of job responsibilities, although I imagine a spy is more tough to get a hold of. You can find this exact palette at Debenhams here, and other shade variations here and here. The other day I was pondering over the difference between blogs and instagram. Besides the obvious; you scroll through your feed on Instagram and pass the pretty pictures, double tapping as you go, but a blog is something you have to actively seek out. Because of this, I often feel like a blog deserves more effort and more time spent over the content. As someone who reads beauty blogs frequently, I notice that the writers often create posts in which they're simply saying; 'hey, this is a new and nice thing.' Not a review or a tutorial, just sharing the product. Personally, I really enjoy that style of post. It's a style that's simple, informative and quick to read - as quite frankly, who has time to endlessly browse the new-in beauty section of the Debenhams website? In a sense, it's pretty similar to an Instagram post, and that's what I like about it. It's a quick fix of prettiness along with the essential bits of information about the item; a sort of Instagram and blog post hybrid. Essentially what I'm trying to say is that I'm planning to start doing those - I want to be able to create fun, quick little posts more frequently. Gosh. Sorry, that took a while to explain. Rather ironic as I just explained that I like these posts for being quick and easy to read. Every spring, I like to pick up a new item or two to spruce up my collection. Not an extreme overhaul - I'm not enough of a makeup experimenter to justify buying more than a few bits and bobs. 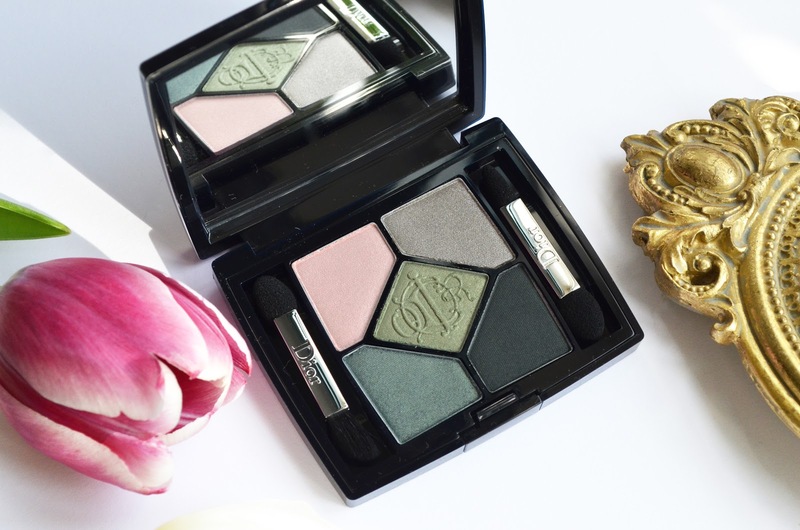 So here, as a little injection of colour, I'm showing you the House of Greens palette from Dior's Kingdom Of Colours collection. First of all, and entirely irrelevant to the product itself, I love the palette names. House of Greens; rather Game of Thrones-esque, don't you think? Dior released two different palettes; House of Greens and House of Pinks; with both palettes featuring a mixture of shimmer and matte shades, all differing in pigmentation strength (and what palette would be complete without those little pointless, sponge applicators that none of us actually use?). 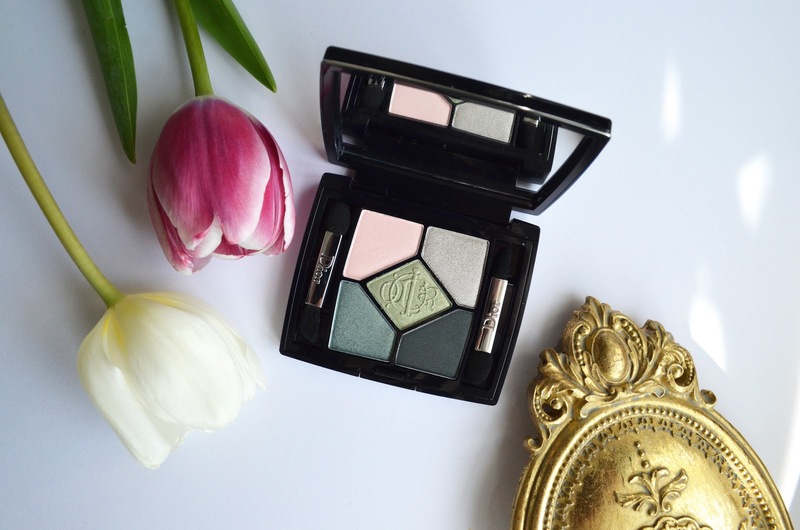 I've linked a few different shades of Dior palettes above and below for you to take a look at if you'd like to. Do you pick up any new makeup with the changing seasons? If you have any recommendations, I'd love to hear them! To celebrate the arrival of Spring, Dorothy Perkins invited me to their studio to style up and try on their four new 'occasionwear' trends for spring/summer. Of course, never being one to turn down the chance to dress up, I accepted their invitation. 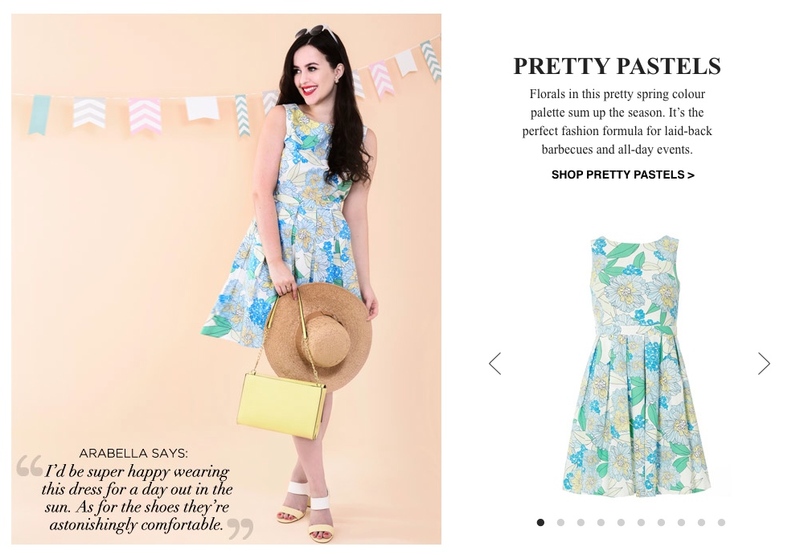 The premise of the four trends; Pretty Pastels, High Contrast, Shimmer & Shine and Chic & Sophisticated, are to help you dress for the different types of occasions you might attend during the warmer months; garden parties, BBQ's and weddings galore! You can read the full feature here. This trend revolves around pastels (unsurprisingly) and focuses on fresh, spring appropriate colours; the perfect pieces for a sunny day! 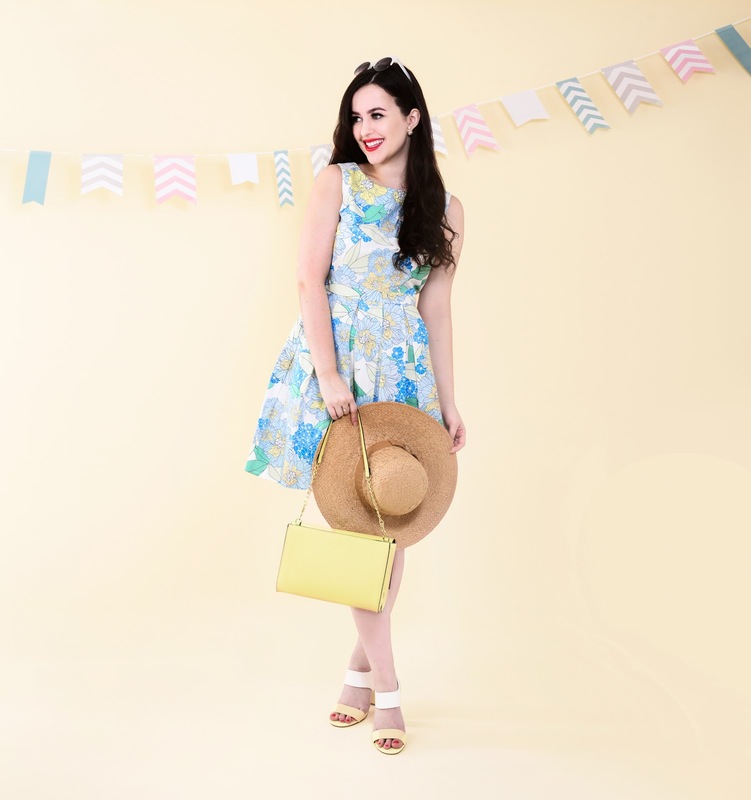 For this look, I chose a little dress with a pleated skirt and pastel floral pattern. A bonus that comes with multi-coloured patterns is that it gives you quite a lot of scope in regards to which colours you can pair with it. For instance, what with this dress being made up of shades of blue, green, white and yellow - I opted for some pastel yellow accessories. Blue Floral Dress: here. White and Yellow Sandals: here. Debatably my favourite look of them all, the trend High Contrast is all about mixing striking, block colours and monochrome accessories. It's a colour I wouldn't have picked out for myself previously but I was surprised with how much I liked it when I tried it on! This is definitely an evening-only look, but the shimmery fabric and flattering (if I do say so myself) cut of this dress meant I had to pick it as my favourite High Contrast piece. Strapless Dress: coming soon, black version here. Pointed Shoes: here. This trend is all about evening appropriate, 'cool glamour' - metallic textures and relaxed fits. I really liked the texture of this piece, although I'll admit I'm not too fond of shift dresses on my body type. In my opinion they suit a more narrow, boyish figure - which isn't me. I always opt for dresses with very fitted waists, so it was quite a change. However, it was very comfortable and I can see someone making this look effortlessly amazing with their hair up in a bun and some bright red lipstick. 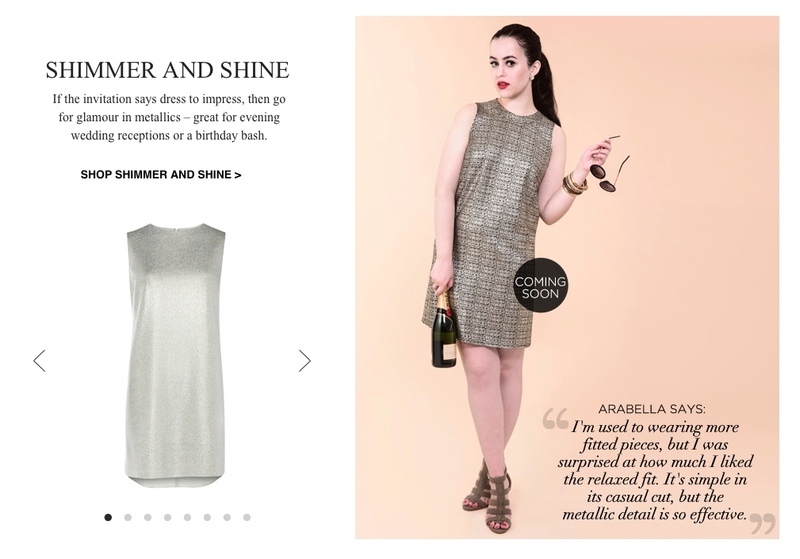 Metallic Shift Dress: coming soon, similar here. Gladiator Sandals: here. 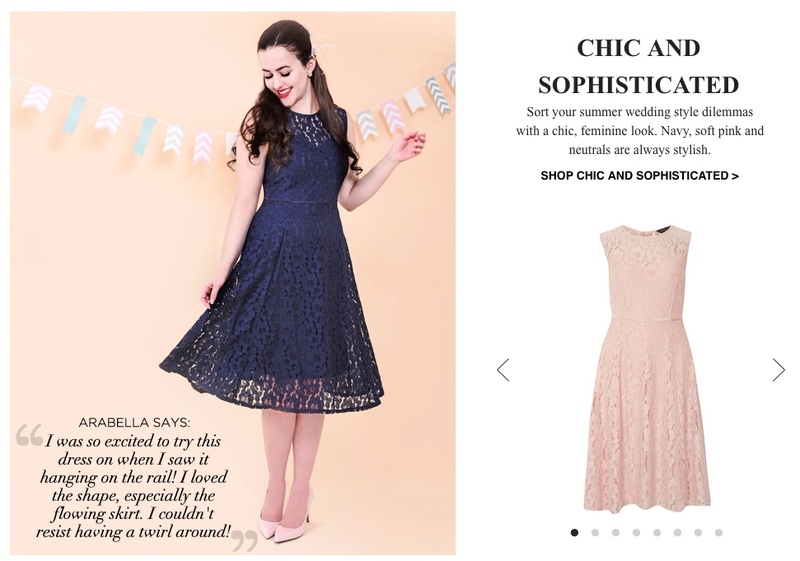 Focussing around soft pinks and navy, the trend Chic & Sophisticated gives off a wedding-guest vibe. The pieces are soft and feminine, with lots of lace and a few feathery fascinators making an appearance! This trend is very much within my comfort zone, in fact, it was a struggle to choose just one dress for the final look. As you can see, I went for a midi length navy lace dress with a sweetheart lining, pale pink pointed courts and a pale pink feathery hair-clip to match. I'll never turn down the chance to wear a feather in my hair. Navy Lace Dress: here. Light Pink Courts: here. 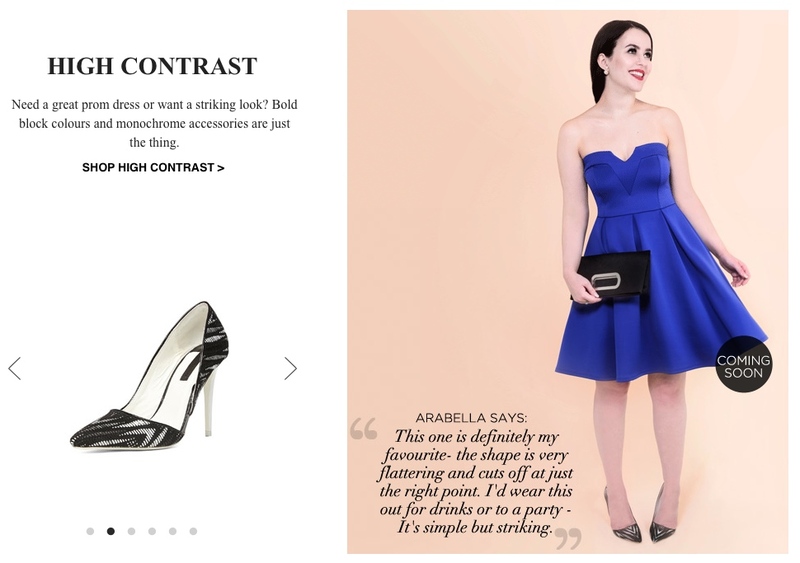 So, what do you think of Dorothy Perkins' occasionwear trends? Which is your favourite look? I'd love to know! 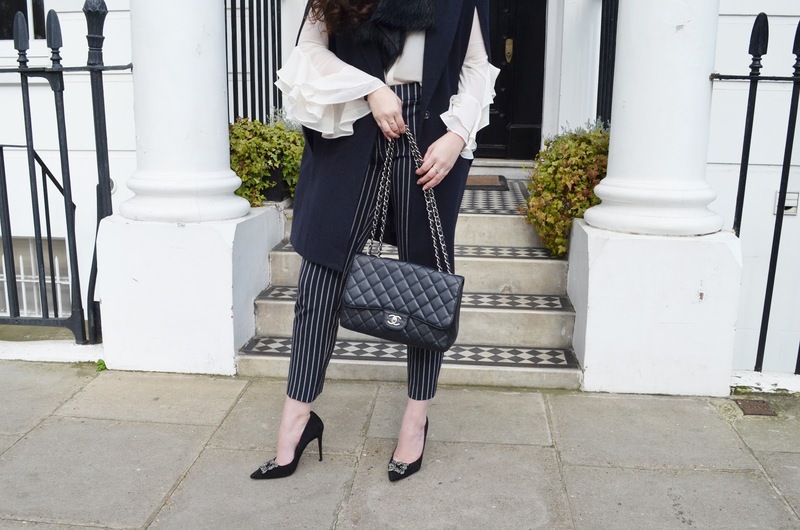 *This post is in collaboration with Dorothy Perkins. If you'd like to know anymore about what a sponsored post is, please take a look at my 'About' tab. Shirt: Forever 21 (sold out, I'm sorry!) 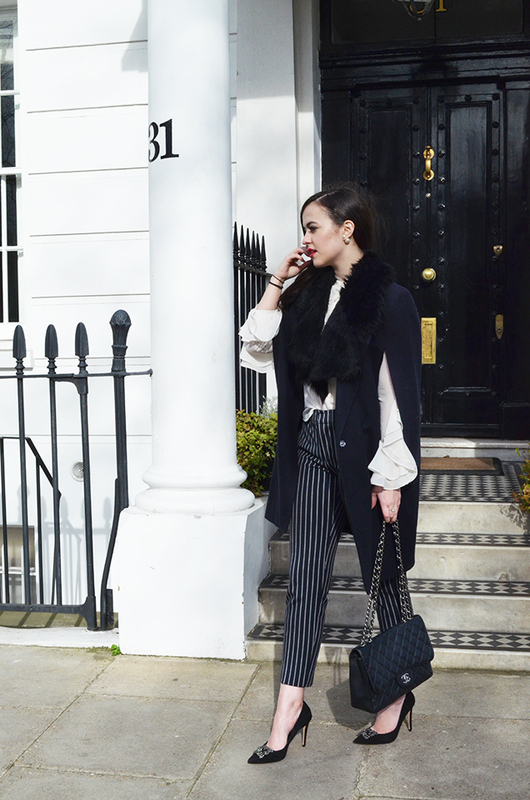 Trousers: ZARA (alternative here). Cape: ASOS. Shoes: c/o Dune. Earrings: Dior. 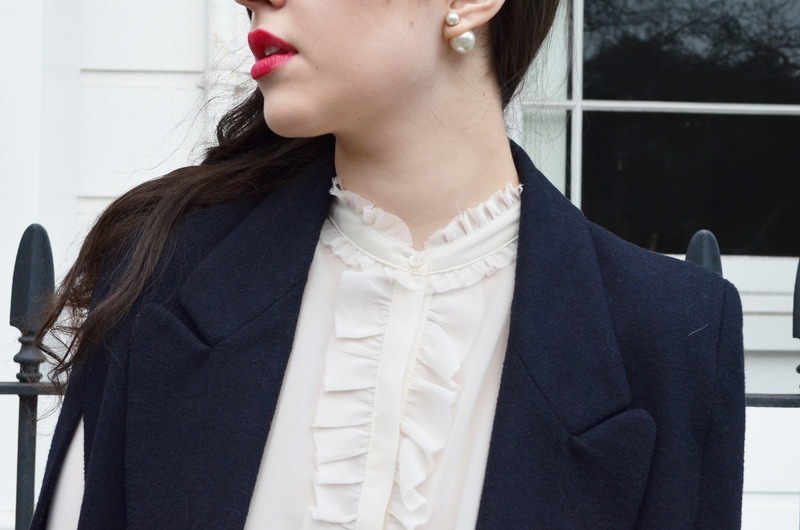 Collar: ASOS. Now, if there's one thing my wardrobe was lacking, it was a pair of striped tailored trousers. Please sense my passionate sarcasm. I already own about four pairs... but you don't understand. These are different. So different. They might not look like a traditional pinstripe, but in fact - when you get closer you'll see that they are actually made up of one thin burgundy stripe, two white and two black stripes in a row. This kind of detail is very important for the numerous times a day that people's faces are inches from my legs. To be very serious, they're also very bendable and stretchy - which is important to me in a trouser - who's ever tried on a pair of trousers which doesn't allow you to bend your legs more than a tiny bit, so you have to shuffle around like a malfunctioning but stylish robot? I have, and I call this the justification for my trouser-purchasing actions.